Our team members come from a diverse set of backgrounds spanning across industries and disciplines. We have experience and expertise across the four ISM pillars of business as well -- Entrepreneurship, Global Leadership, Technology, and Community Outreach. Learn more about our team members individual experiences below. 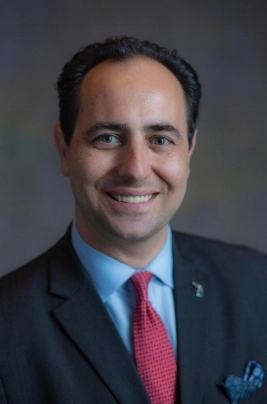 Working with multi-unit national and international companies, Faris Alami has served nonprofit organizations, five-star resorts, national marketing companies, and major department store chains Under his management, one client company experienced a 1300% increase in membership. Another reduced product returns by 58%, and a third company cut employee turnover by 92%. Faris partnered with TechTown – Wayne State University’s Research and Technology Park – where he managed over 45 start-ups, and played a role in planning entrepreneurial training, talent, and several international initiatives. He is a certified FastTrac Facilitator in the internationally recognized Entrepreneurial Training program through the Kauffman Foundation. Faris facilitates the Global Trade Mission program in which high school students learn to launch a global technology company, and mentors University of Michigan MBA students. He serves on the board of several organizations. Han Peng is a former investment analyst at Invest Michigan, where he supported all aspects of analysis, underwriting and monitoring of investments as well as setting up tracking and monitoring systems for Michigan Pre-Seed Fund 2.0. Prior to this, he was manager of entrepreneurial services at TechTown, providing guidance to client companies that were seeking capital. His experience includes assistance with business plans, financial statements, loan applications for state financing programs, and connecting to angel investors. Han holds an MBA from Wayne State University and a Bachelors Degree in Economics from Michigan State University. Pat Salo has 30+ years’ experience working with small companies. In her early career, she served as a controller and finance officer. Later, she worked as a director for the Michigan Small Business and Technology Development Center (MI-SBTDC) consulting with small business owners. Pat was recognized by the Detroit Chapter of National Association of Women Business Owners (NAWBO) as Advocate of the Year for her role as a business consultant. She is a certified Kauffman Foundation FastTrac trainer. Linda Anger is president of The Write Concept, Inc. She has over three decades experience in corporate communications, content development and management, and manuscript development. Linda has 20+ years of publication credits, and was the 2013-2015 President of Detroit Working Writers. She was recognized by the Detroit Chapter of National Association of Women Business Owners (NAWBO) with the 2011 Pioneering Spirit Award. Linda is an avid and active member of several Toastmaster International clubs, and facilitates workshops on Speaking Skills for writers, introverts, and other groups. Bernard P. Kanjoma holds a Masters in Management from Walsh College, Troy, Michigan, with specializations in Strategic Management, and International Business, and a Bachelor of Business Administration degree in Management with a minor in Marketing from Rochester College, Rochester Hills, Michigan. Mr. Kanjoma continues to use his expertise in management and international business by overseeing the International programs in ISM. Sheu-Jane was previously the director of entrepreneurial services at TechTown Detroit, where she advised entrepreneurs developing tech-based startups. Sheu-Jane also held positions with Ford Motor Co. and Decoma International, and taught mechanical engineering at Wayne State University. She holds a PhD in mechanical engineering from Rutgers University with a special expertise in biomedical engineering. As director, she helps companies maximize the value that their products or services deliver to their customers. Robert has +20 years of experience in Management Consulting, Business Development, Training, Human Resources Development, and Information Technology. Robert is a certified International Management Consultant, and Certified International Trainer. He has worked for international organizations such as the European Union, European Investment Bank, United Nations for Development Program (UNDP), World Health Organization (WTO), United Nations Conference on Trade and Development (UNCTAD), and IFC. His practice locations included the Middle East, Europe, North Africa, Gulf countries and North America. With integrity and clarity, Robert now joins the ISM team to provide international management consulting . Gregory B. Farmer joined General Motors in 1974 as a Manufacturing Engineer and retired in 2010 as Executive Director for GM Global Test Laboratories, in which he was responsible for supporting $1 billion in annual purchased value, and responsible for GM’s Technical Education Program. He founded Next Generation Enterprise Solutions, LLC in 2010. NGES is a business strategy, product engineering, and alternative energy consulting firm. Gregory is a Mentor at TechTown and Bizdum New Business Incubators in Detroit, Michigan. Soheeb Wains is from Canton, Michigan and will graduate with a B.A. in Honors Biology from Wayne State University. Over the summer he completed the DTX Launch program, an intense 10-week accelerator. He has also helped launched ToDoolie, a Detroit-based start-up where he previously served as Chief Operating Officer, alongside close personal friends. He decided to join MyISMInc of because of his previous experiences in entrepreneurship. In his spare time, he likes to lift weights, eat food, and explore life. As an immigrant, Mohamad Hariri has experienced the challenges of achieving success, and has unveiled a formula for building a mindset of success. He is on a journey to teach this formula to high school and college students and young adults so they can realize their potentials as future leaders. Mohamad has more than 10 years experience in the automotive infotainment area where he applies his engineering skills to design and integrate technology into cars. He holds a Bachelor and Master of Science in Electrical Engineering with high distinction from the University of Michigan and is a graduate of the Chrysler Institute of Engineering. In 2014, he received the Difference Maker Award for Leading with Passion. An entrepreneur with a diverse background and 20+ years of experience, Stefan Sysko has been a consultant, advisor and mentor to dozens of start-ups and hundreds of small businesses. Joe is currently involved as a coach and mentor in several programs and cohorts in Ann Arbor, Ypsi and Detroit, Connecting the Game Dev Community, AI and Machine Learning, Pitch Ypsi, and DTX Launch Detroit at TechTown, helping startup entrepreneurs perform customer discovery and customer validation projects. Joe earned his Bachelors of Arts from Michigan State University’s Eli Broad College of Business. Jasmine has been working in the digital space for over five years including working at digital agencies and for Cadillac. She has a Bachelors in Business Administration from the University of Michigan and has been part of several business accelerator programs. She does a mix of web development, SEO, paid search, and overall website consulting.